China’s capital, Beijing, is accessible via Beijing Capital Airport. Other popular airports include the Guangzhou Baiyun International Airport outside Guangzhou and the Shanghai Pudong International Airport near Shanghai. 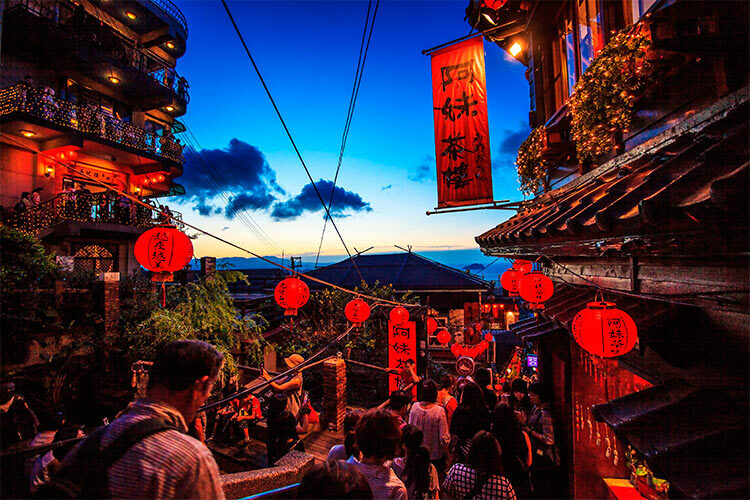 The cost of travel in China is typically around $40, though luxury travel can easily cost ten times that while backpackers can get costs down to as low as $25 per day. Though July and August receive slightly more visitors than average, China welcomes tons of tourists all year long. The country’s weather is quite diverse and gets well below freezing in the winters (especially in northern China) and quite hot during the summers. Expect temperatures between -10 to 0˚C (15-30ºF) for most of the winter and temperatures of 21-27˚C (70-80ºF) during summer. Classic Chinese souvenirs include handmade silk and porcelain products, tea, and traditional paintings. The first (and probably most important) thing readers need to understand about China is how massive the country is. Both in terms of population and land area, China is huge, ranking as the world’s first and second largest respectively and taking up most of east Asia. For this reason, China is extremely diverse on almost every front, including the makeup of its population and the types of ecosystems present. This means that one can spend many years exploring China and still have novel sites to explore. China’s history begins long ago, in prehistoric times. Chinese history is typically broken up into a series of dynasties, with the first dynasty being the Xia, though no archaeological evidence exists confirming their presence. One of the most important early dynasties is the Han, who adopted Confucianism and established a precedent for Chinese control, despite only controlling the country for 14 years. Later, the Tang and Song dynasties helped China surge forward technologically during the 800s. The Song dynasty helped China’s population to explode, and brought arts and philosophy into the forefront. The subsequent Ming dynasty also saw China flourish. China’s final dynasty, the Qing dynasty, held the country from 1644 to 1912. During this time, China fought heavily with colonists from Britain and France and lost a great deal of its population. In 1912, China reorganized itself as the Republic of China, though by 1916 it had fallen into political disarray with no real leader. After thirty years of regional war, WWII, and a civil war, in 1949 Mao Zedong and the Communist party took tight control over the country. Zedong led the “Great Leap Forward,” which saw China take massive steps economically and industrialize quite rapidly. Since Zedong’s death in the 1970s, China has been slowly moving towards an open market, though even today the country’s government remains very centralized and controlling. As a traveller inside the country, it’s best to avoid discussing political issues, though its not nearly as much of a concern now as it was 30 years ago. Beijing is the world’s third largest city, China’s capital, and possesses the country’s largest airport; as a result of this, most travelers end up passing through the metropolis at one point or another. 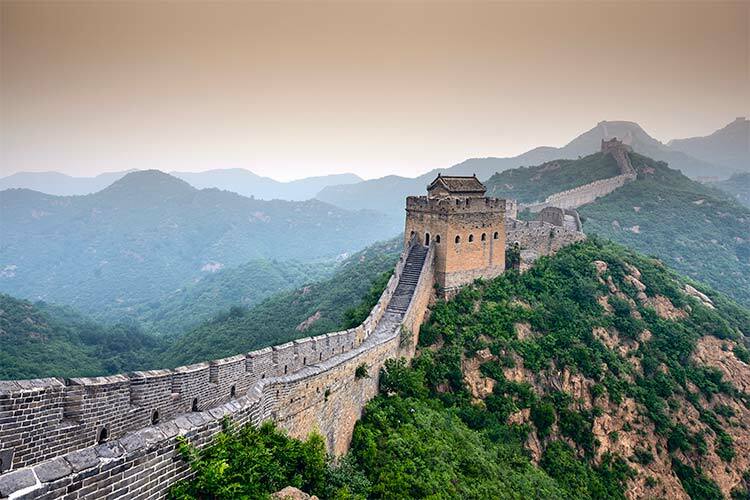 The city holds seven UNESCO sites, including many of China’s most famous attractions: the Great Wall of China, the Forbidden City, the Summer Palace, and the Grand Canal. The city is known for its music scene and has numerous venues for everything from world class operas to local rock groups. Numerous art galleries exist which showcase other forms of art in Beijing, as well as a handful of museums. However, the best way to experience Beijing is by exploring the hutongs, a system of ancient alleys built in the 1200s. These pedestrian areas are tightly packed with throngs of shoppers, street vendors, chefs, and performers. Trust us, it’s easy to whittle away a few hours people watching and shopping through the hutongs. Infamous for its size and nightlife, Shanghai is China’s most populous city with 23 million residents. The city is divided by the Huangpu River, with Puxi on west side and Pudong on the eastern side. Puxi is the older section of the city and contains many historical neighbours, most notably The Bund. This neighbourhood exemplifies the European presence during the 1920s and is very tourist friendly. Spending time on the river, especially near Shanghai city beach, is essential. The city’s many teahouses are also worth a visit, where tea is brewed in traditional styles. Shanghai also features numerous Buddhist temples. In complete contrast to the bustling cities of Shanghai and Beijing is Tibet. This southern region of China was once the centre of Buddhism and home to the Dalai Lama, though China controversially exiled the Dalai Lama a few years after it took control of Tibet in 1950. The biggest city in Tibet is Lhasa, but most travelers come to get out to the mountainous Himalayan countryside, one of the most beautiful in the world. Tibetan culture is quite distinct from eastern Chinese culture, with religion, peacefulness and artistic expression being central to Tibetan culture. 1) To experience what northern China is like, it’s best to visit its largest city: Harbin. Spend an afternoon exploring the distinctly Russian style of architecture found in its Old Quarter, then check out the city’s popular Siberian Tiger Reserve, which holds hundreds of tigers that you can feed. Be sure to come during winter for the world famous Harbin Ice Festival. 2) Beijing, China’s second largest city, has tons to offer tourists, especially in its inner four districts. Spend an afternoon exploring Tiananmen Square, then visit the historic Forbidden City. 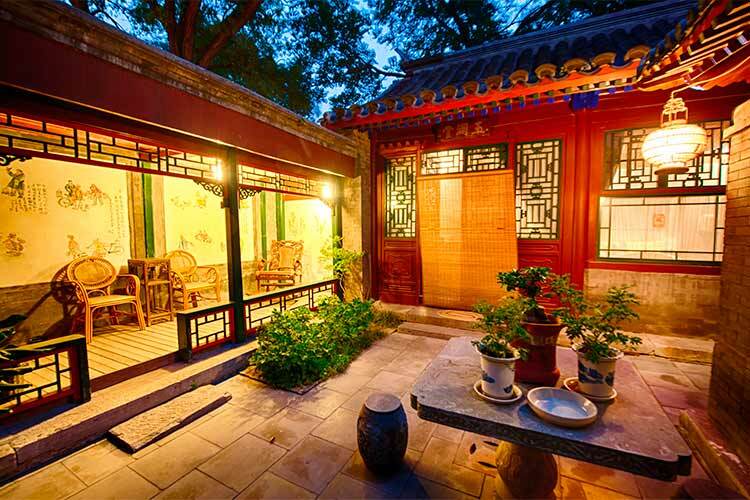 Then, head to the Dashanzi Art District to explore the best of modern and historic Beijing’s culture. 3) Exploring Shanghai’s older section, Puxi, makes for an extremely pleasant walk. This is especially true in the Bund, then go shopping in the gorgeous Luwan district. 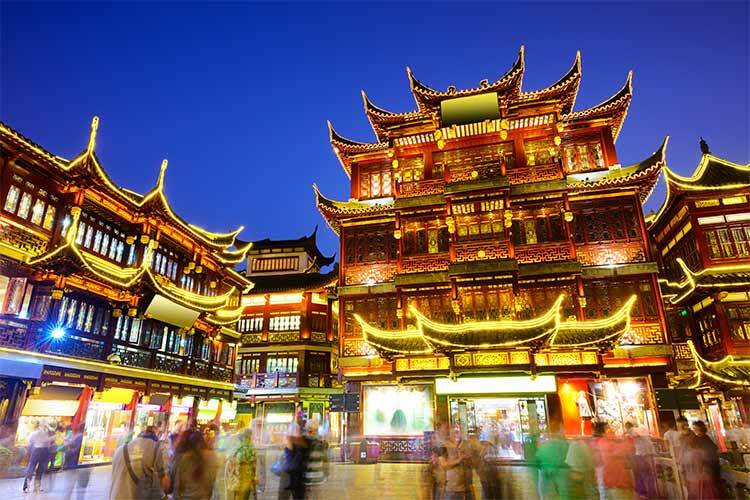 The Old City, Nanshi, is also worth a visit to experience classic wooden Shanghai experience. At night, be sure to participate in Shanghai’s infamous night scene. 4) China technically owns the island of Taiwan, and one ought to visit Taiwan’s capital Taipei. Chiang Kai-shek Memorial Hall is one of the more famous cultural sites of the city. Tapei 101, the world’s second largest skyscraper, is definitely worth exploring as well. After all that sightseeing, relax in one of Taipei’s famous hot springs. 5) Guangzhou (pictured below) holds ten districts, though most of its more famous sites are found in Yuexiu. 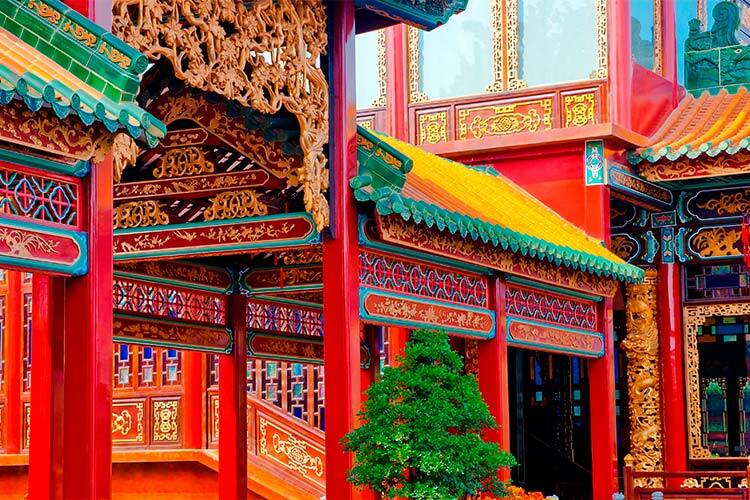 Take a stroll in Yuexiu Park, or in the equally gorgeous Orchid Garden. Then, take advantage of the deals in one of the many street markets, including the Yide Road Market. 6) You’ll find the culture of Lhasa to be quite different than the rest of China, as evidenced by its architecture and museums. Be sure to visit the Barkhor, an ancient circular street surrounding Jokham Temple and chock full of artisans and vendors. 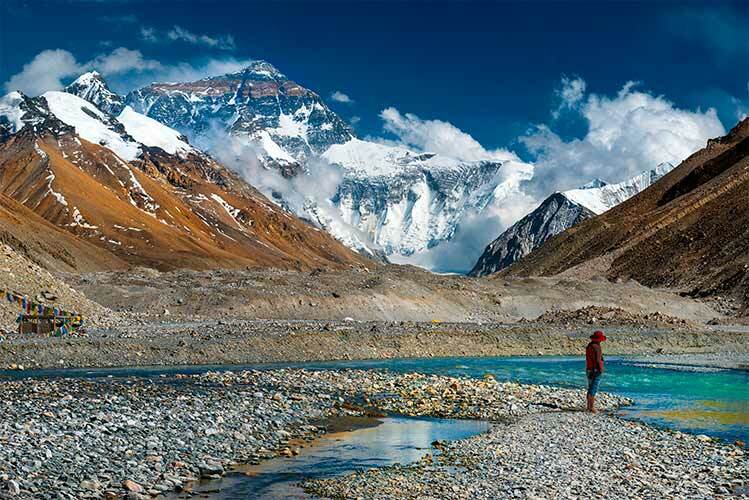 Alternatively, unwind with a hike through the nearby Himalayas, one of the most dramatic mountain ranges in the world.